304 grade sheet top of 18 SMG thickness to fill 8 tins at a time. 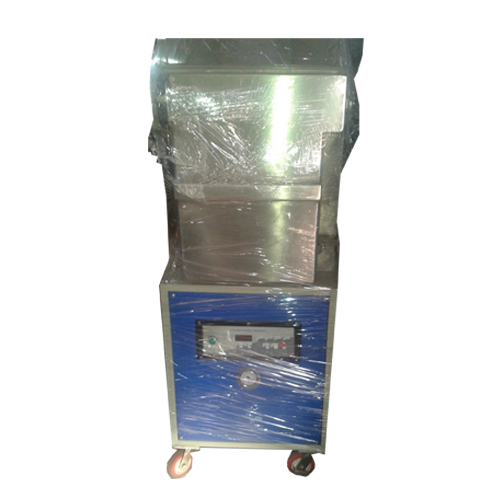 Vacuum Tin Packing Machine with attachment of CO2 filling. Specifically designed for the vacuum creations with 1 H. P.
M. S. Angled Framed with safety accessories.